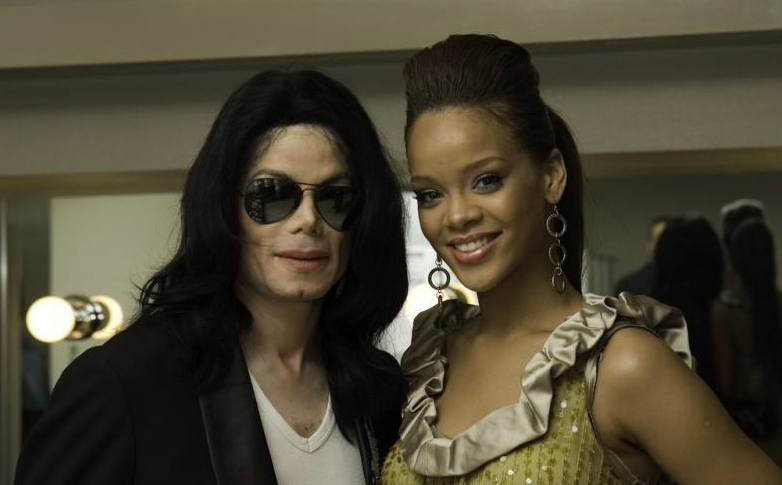 Michael Jackson and Rihanna in 2007 Japon World musique Award. . HD Wallpaper and background images in the Michael Jackson club tagged: photo. This Michael Jackson fan art might contain lunettes de soleil, lunettes noires, des nuances, nuances, and lunettes.